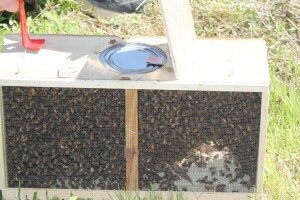 Shaking in new bees to a hive at the farm. 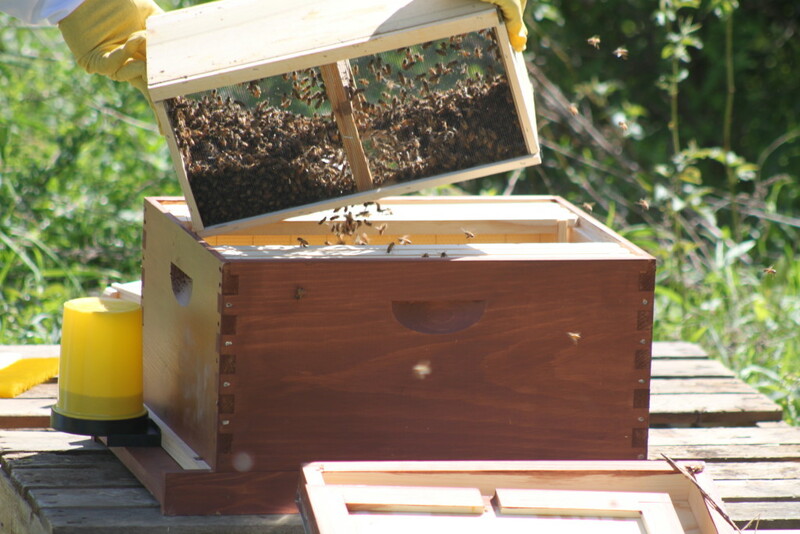 Anyone who reads our blog with regularity quickly realizes how vital of a role our honey bees play at the farm. 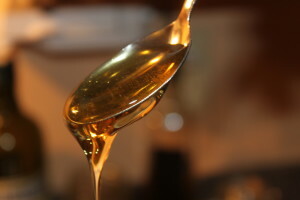 Honey is a main ingredient in our strawberry and blackberry jams, homemade granola crunch cereal, granola bars, whole wheat bread – and many other recipes we consume on a regular basis. 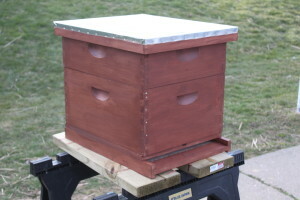 But the benefits of keeping bees goes far beyond just the amazing honey we get back from our hives. They also play an important part in our farm’s future success by helping to pollinate all of our fruit trees, grapes, blackberries, strawberries, flowers, and of course, our vegetable garden! More than all of that – bees are on the decline here and in nearly all parts of the world – and it is important to help spread and share the love of what bees bring to all of our lives. Let’s face it – without honey bees – our world would be a pretty barren place! 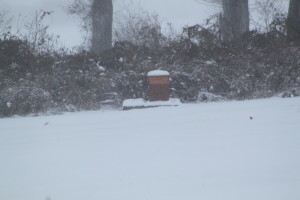 Below you will find our articles on our honey bees – including everything from bringing our first bees to the farm, to building new hives and preparing them for the cold of each winter season.